I have been commissioned by a lady in Tasmania to design a Friesian cow tea cosy, not content with just seeing them outside; she wants to bring them in doors too… in a small way. 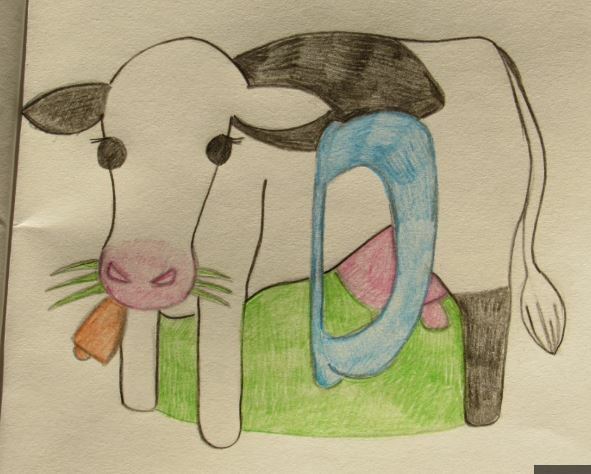 She requested that the cow has an udder, cowbell and is chewing grass. The Friesian cow is a probably the most iconic of cattle breads with their beautiful black and white hides. The Friesian cow is also known as a dairy cow because they give a large milk yield, so it will be appropriate to give her a large udder. I think the colours of the cow make her look very fresh and cheery and will make a lovely rural tea cosy.